When a local violent storm passed through Marion county Florida, many homes were damaged including this one in the photo. The local homeowner called SERVPRO of Ocala to respond. we did with recommending trusted tree removal services. Then we tarped over the roof until permanent roof repair could be done. Next we took care of the water intrusion from the wind and rain. Finely after completely drying and sanitizing the home, we begin the rebuilding services. The homeowner was very happy and surprised how quickly SERVPRO of Ocala was able to bring all these services to the aid of the homeowner. Many of our clients know that one call to SERVPRO of Ocala can result in us taking the lead and making sure the resident or commercial customer gets all the services that need. When a sprinkler head broke in a hallways it really caused quite a commotion. Residents where forced out of their rooms and staff had to make sure everyone was safe. SERVPRO of Ocala was called in to act fast and get the standing water up and out (which you don't see) and start setting drying equipment as shown. Residents were moved out of the water damaged areas for safety. All were surprised in a good way just how fast and efficiently our trained SERVPRO professionals worked to get building materials in drying mode. In a few days the vast majority of the facility was back to normal, all thanks to over 40 years of doing this type of work and the dedicated staff at SERVPRO of Ocala. SERVPRO of Ocala was hired to follow protocol for mold remediation on a very old building. The walls were lath and plaster which calls for a lot of hard work removing the walls, ceilings, etc. Old electrical wiring is also a concern for the mold remediation contractor. Plumbing is another factor to be considered. This type of building calls for careful removal of the mold infested areas so as not to cause damage to other walls, wiring, plumbing etc. that are not within the scope of the protocol. The material is fragile due to the age and the SERVPRO professional is always aware of this while using a lot of energy to remove old materials. The work was finished and passed air clearance testing the first time. 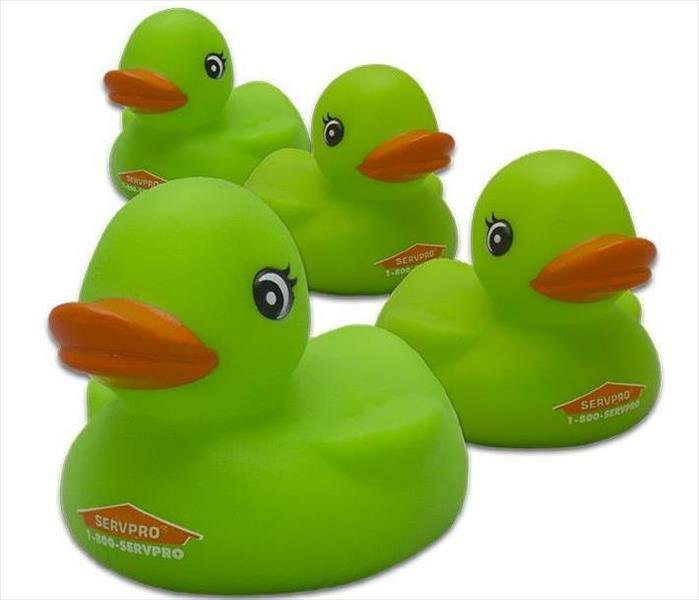 SERVPRO of Ocala is about to turn 45 years old! Wow, seems like yesterday the Williams were opening their doors for business here in Ocala Florida. Our team of disaster cleanup professionals have seen a lot over that time. But in 2018 our Franchise broke a record and not one to brag about. We have responded to and cleaned up more residential house fires due to cooking. So here are a few tips we at SERVPRO of Ocala would like to share in the hopes we are never called out to clean up fire, smoke or soot out of your home. When the office personnel opened their door one morning they found a mess from an over head pluming pipe that sprang a leak. The weight of the water soaked the insulation and caused the ceilings to fall in. Luckily it was not a full blown pipe break or the entire commercial facility may have been flooded. However this small leak cause the office to shut down and call SERVPRO of Ocala. Our crews arrived and began the extraction of water, cleaning up the mess, securing the ceilings with plastic and placing drying equipment. Area rugs were taken back to our SERVPRO warehouse to be cleaned, disinfected and returned. In a few days the structure was ready to be restored. The client was extremely happy about our quick, professional service. SERVPRO of Ocala posted a photo of a commercial fire damage on 10/22/2018 This is what the building looked like after the fire department had put out the fire. The entire 1600 square foot suite was damaged including some of the trusses. SERVPRO of Ocala began the removal of fire damage material including the HVAC System. Beside the flames, heat and smoke damage there were Bio hazard items inside that needed to be properly disposed of as well. SERVPRO of Ocala had our Bio cleanup crew in to dispose of the biohazard materials like hypodermic needles, blood and urine filled sample vials and any medical supplies damaged or undamaged. The photo shows just one area of the speedy cleanup SERVPRO of Ocala professionals where working on. The aftermath of a fire can be worse than the fire itself. Water damage, material damage, structure damage, electrical, mechanical, all can be damaged to the point where cleanup is larger than the damage the flames, heat and smoke caused. 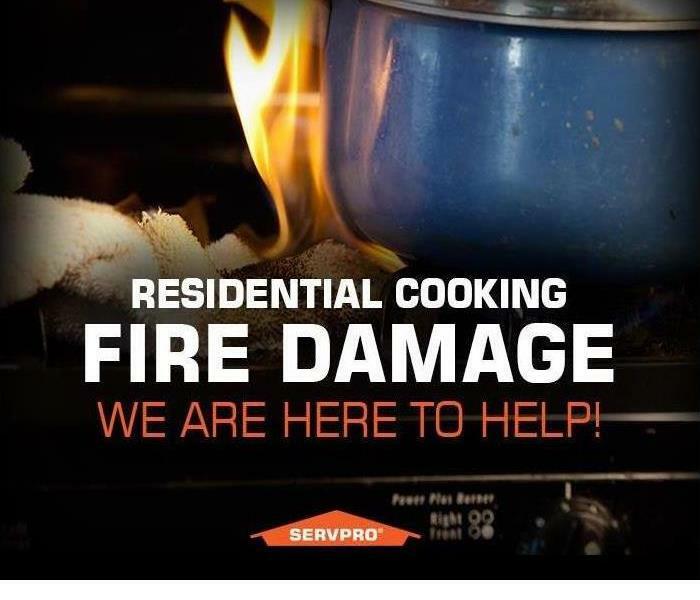 This is when you need a highly experienced, professional Fire & Water Cleanup and Restoration company like SERVPRO of Ocala. Our team has been cleaning up fire damage and restoring homes and commercial businesses for over 40 years. We understand the trauma a fire damage can cause to life and property. When a fire broke out in an office suite, the business next door was effected as well. Fire fighters had to go into the business next door to help contain and putout the fire. The photo shows ceilings being pulled down in order for the fire fighters to make sure no fire had reached over to this suite. Smoke odor however had filled the suite. This company had to shut down due to the close proximity of the fire and the strong odor. The odor is so bad you could smell it 3 office suites away. SERVPRO of Ocala is cleaning up both locations getting them ready for new business to occupy. When a restroom toilet supply line broke on the second floor, the water went everywhere including down to the first floor. SERVPRO of Ocala responded that morning with crews trucks and equipment ready to mitigate the damage. The crews spent hours into the evening extracting and setting he drying equipment. by the 5th day all was dried and the equipment removed. The carpets now need to be cleaned and the office furniture and all the contents can be put back in place so the University staff can get back to work!